CLOSED Monday May 30th for Memorial Day. 10 a.m to noon & 6 p.m to 8 p.m.
Asbury Relief Ministry in Denton, Texas (ARM) is a food pantry for those needing emergency food assistance. ARM is open to anyone living in the north Texas area, not just the city of Denton. What are the Asbury Relief Ministry Hours? ARM is open on Mondays only, from 10am to noon and again in the evening from 6pm to 8pm. We are open to receive clients at those two times until we have reached a LIMIT of 30 households. A household can receive assistance 6 times in a calendar year and must bring picture identification with them. No other forms of identification, proof of income, or proof of residence is required. ARM has been in operation, at the church building,since the 1980’s. Born out of the pastor’s office and the pastor’s emergency fund into a weekly operation with an average of 30 volunteers. Volunteers are needed to assist clients on Monday mornings and evenings. Volunteers are also needed Friday mornings to stock the pantry from the weekly pickup from the Tarrant County Food Bank. These volunteers are generally needed about 2 hours on Friday mornings, starting about 10am. If you would like to volunteer for any of these times, you should contact the ARM volunteer coordinator at 940.382.7615. Monetary donations are greatly appreciated and used for gas to and from the food bank in Ft. Worth each Friday. It is also used to buy our food from the food bank for about 20 cents a pound. 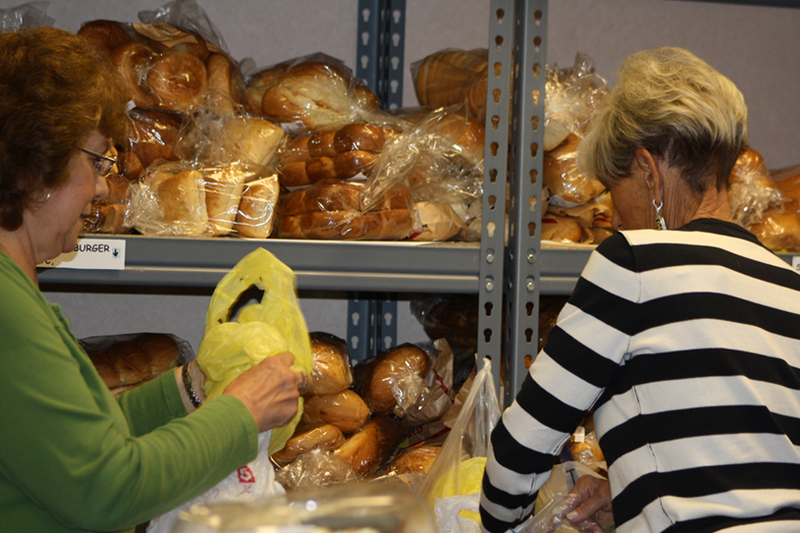 When the food bank does not have items we deem necessary, we will order food from grocery stores at regular prices. We also buy toiletry and hygiene items. All food items donated are accepted: canned goods, produce, meats ,dairy, pantry staples, and toiletry/hygiene items. We do not hand out clothing or appliances and do not accept these types of donations.